They sport a range of physical adaptations for life at sea, including a flattened oar-like tail for paddling and the abilities to smell underwater, hold their breath for hours and go for months without a drink. And although they're not powerful swimmers, they have spread throughout the Pacific and Indian Oceans, ranging from Japan to New Zealand and from South Africa to Central America. 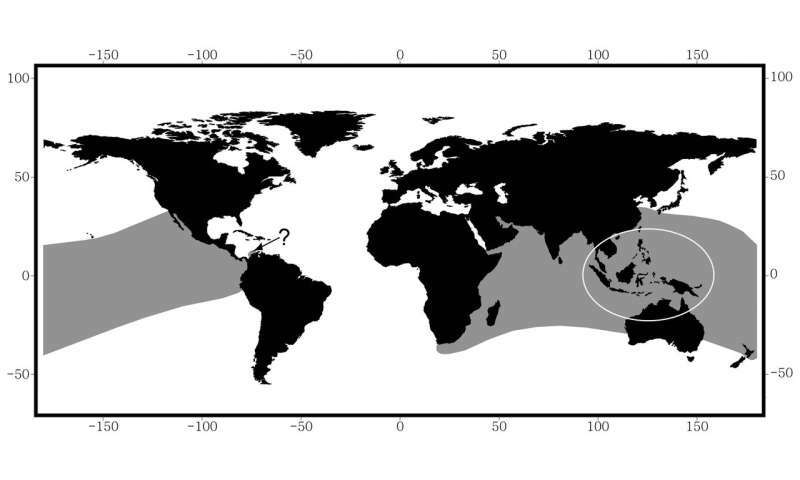 But there is a glaring gap in sea snakes' near-global distribution: the Atlantic Ocean. 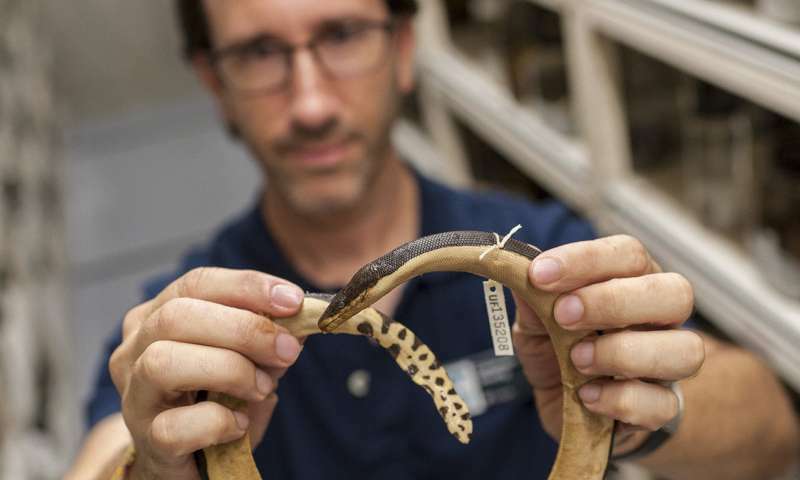 "Why there are no sea snakes in the Atlantic is a question we've been asking for a long time," said Coleman Sheehy, Florida Museum of Natural History herpetology collection manager. "We know why they are where they are. But why they're not where they're not has been a mystery." The problem, according to Sheehy and his colleagues, is that the snakes can't get there. In a paper published in Bioscience, lead author Harvey Lillywhite of the University of Florida's department of biology, Sheehy and their co-authors chalk up the absence of sea snakes in the Atlantic to geography, climate and timing. Not likely, Sheehy said. The species that has the best shot is the yellow-bellied sea snake, whose distribution is broader than any other snake or lizard on the planet. While a few individual yellow-bellied sea snakes have been reported on the Caribbean coast of Colombia - likely drifters who made it through the Panama Canal - Sheehy said the odds are stacked against them establishing a successful breeding population. If they did, "nothing in the Atlantic would be prepared," he said. "Prey wouldn't know how to protect themselves, and predators would have to quickly learn that sea snakes are venomous and likely have toxins in their skin." 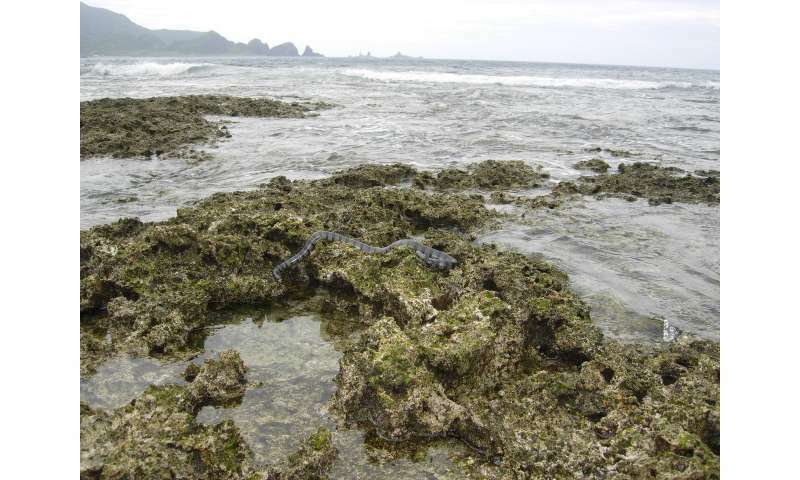 Sea snakes' range could expand as ocean waters warm, Lillywhite said, but the net effect of climate change is more likely to trigger population declines than increases and may already be doing so: With the exception of the yellow-bellied sea snake, populations are shrinking in many areas. "I think one of the reasons we're seeing declines in certain populations is because of changing rainfall patterns," Lillywhite said. "If rainfall patterns aren't conducive to providing water to drink, sea snakes can't survive, even if ocean temperatures are favorable. The availability of freshwater is going to be a huge factor in understanding local extinctions." Declines in sea snakes could have ripple effects on coral reef ecosystems, where they're often top predators, Sheehy said. Like sharks, sea snakes often prey on weak or diseased fish. Culling these fish not only helps maintain healthy fish populations but also stops any one species from dominating the reef, he said. 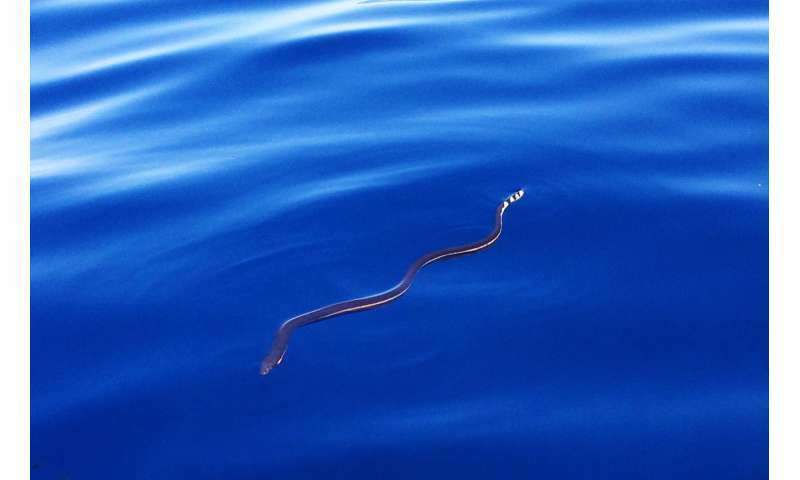 Today's sea snakes - about 60 species of fully marine sea snakes and eight species of semiaquatic sea kraits - evolved in the warm, tropical conditions of the Coral Triangle at a time when the region was undergoing swift and dramatic physical, climatic and geologic change. Sea levels rose and fell, alternately creating and linking islands and shifting coastlines and river flows. Sediment from limestone and volcanic, igneous and metamorphic rocks flowed into coastal habitats, creating brackish estuaries that could have helped ease snakes' transition from land to water. "There's really no place on Earth where sea level changes have had a more dramatic effect than in the Coral Triangle-Indonesia area," said David Steadman, a study co-author and Florida Museum curator of ornithology. "All hell broke loose there physically and geochemically. It's easy to see why it would be a place where new species emerged." "These changes were creating opportunities these snakes could exploit," Sheehy said. "If they're on land, they're competing with other land snakes. Taking advantage of marine habitats could reduce that competition and open up resources other snakes aren't using." Because snake eggs suffocate under water, sea kraits must crawl onto land to lay their eggs, while true sea snakes - which spend their entire lives in water - give birth to live young. "Sea snakes have evolved to survive in a way that is completely different than turtles, crocodilians or freshwater snakes," Sheehy said. "Nothing else does it like sea snakes - they've made fascinating adaptations to overcome the huge number of difficulties associated with surviving in the ocean and are by far the most successful marine reptile group. We're still learning how to understand their basic biology and the role they play in the habitats where they live."